The good news is that according to whois, Firefub.com, .ca, .org, .net, .info AND .online are all still for sale. It is not too late to buy up the domain name(s) of this new, innovative and potentially world changing product. Act now- for as little as $3 / year, you can be the owner of the next google.com! we should consider combining our efforts instead of sniping at one another. firefub: making the web yours again. FireFap: Git You Sum!!! I am! First, the Fappening, now the Fubbening. Exciting time to be in tech. I can't wait to see the graphic design for this. Also I hope it's a core feature not a plug-in, I can't afford any glitches on this one. Howz about a nekked-leg selfie? And I assume it's safe to assume that it's not too much to assume that Firefub is making the world a better place? Still waiting for the next milestone version of the 'Fub. Rumors are it'll have an integrated DNS feature so we can stop memorizing the IP addresses of every site we visit. I take a picture of the browser with my mobile phone, then print them out and use rubber cement to paste them on rolodex cards. Almost as good as bookmarks. 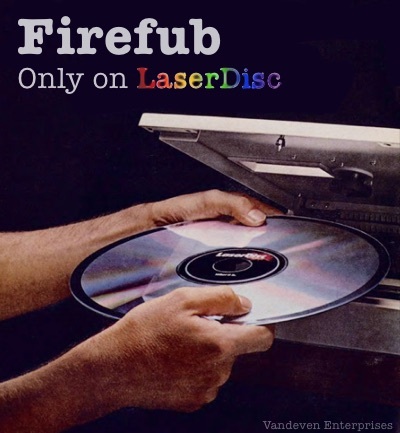 Firefub is working great, go to UFOShip.com and click on PLAY, its been operating there for over a week now. I think Firefub would do well to implement a security feature that's now part of Firefox, where all addons have to be certified individually by the Firefox team and any uncertified addons are disabled. You let users still feel like they are in charge of their user experience by publishing instructions for a workaround, but as you are concerned by users opening themselves up to attack the workaround doesn't work because several builds ago it too was disabled. actually, you have it backward. the new 'fub will eliminate the use of DNS, requiring you to type ip addresses, but it doesn't accept addresses containing the number two. Turbo mode users got the new version months ago. They used to issue those quarterly domain name / ip lookup books. But they got too pricey with the leather-bound, illustrated versions. No trick, firefub has been removed now. UFOShip is up and running again. yes but will it goto ip addresses containing the number 7 ? This image is an obvious forgery because at Vandeven Enterprises, we've always recommended that you needlessly touch the reflective surface of your laser discs with all ten fingers when handling them. I would like an improvement on the "Could not connect" error messages. Something in a larger, snazzier font. Maybe include a grumpy cat pic to bring it up to modern standards. what if we were to include a script that initiates the windows shutdown routine when a webpage fails to load? let me know and i'll get with the dev team. ^^ Nice, please also add an automatic low-level hard-drive scan. we are pleased to announce our new '4chan hacker' profile that can be loaded in the persona plug-in. Cutting edge machine learning code files will monitor and track in real time any files on your system that have meaning to you and safely and securely delete them with multiple DoD low level formatting protocols. with this new persona you too can feel safe and secure. Does it come free with Turbo Mode? as they always say, and accurately so, you're going to have to compromise some amount of convenience in exchange for security. can't have it both ways. and thats why firefub only goes to ip addresses that do not begin with 1 or 2. You point that out as if it weren't assumed.